Writer, artist, entrepreneur, some other stuff. I have to be honest with you, I grew up a 3 hours drive from the Shoals area, and had never heard of the area’s legendary musical status until the release of the documentary, “Muscle Shoals.” If you are unaware of the historic musical legacy of the Muscle Shoals area, please watch the doc; it’s beautifully done and packed full of the coolest music history. This magic spoken of by the greats that passed the Tennessee River and recorded in Muscle Shoals drew me to visit the area. My hometown and where I currently reside, Grove Oak, is beside Guntersville, AL, home of the Guntersville Lake made by a dam on the Tennessee River. I grew up swimming in these same waters and love them dearly. I have always felt their magic. As both a lover of music and of books, when I heard that Rick Hall, founder of FAME Recording Studios & Publishing Co., had written an autobiography with Terry Pate, and was holding a book signing at the Alabama Department of History and Archives in Montgomery, I threw on a dress and went to meet the legendary Rick Hall. He reminisced about his past, sharing with us about his life and career. He is an impressive businessman, very plain and open. I purchased his book and was the first in line to get it signed. I wasn’t nervous meeting him, I guess I was more curious than anything. I started reading his book, “My Journey From Shame to Fame” almost immediately. The book comes with a copy of the “Muscle Shoals” DVD, so I have it as well now. Rick Hall’s book reads very intimately. He shares more than I expected about his life before FAME, growing up dirt poor in Alabama, and his family. 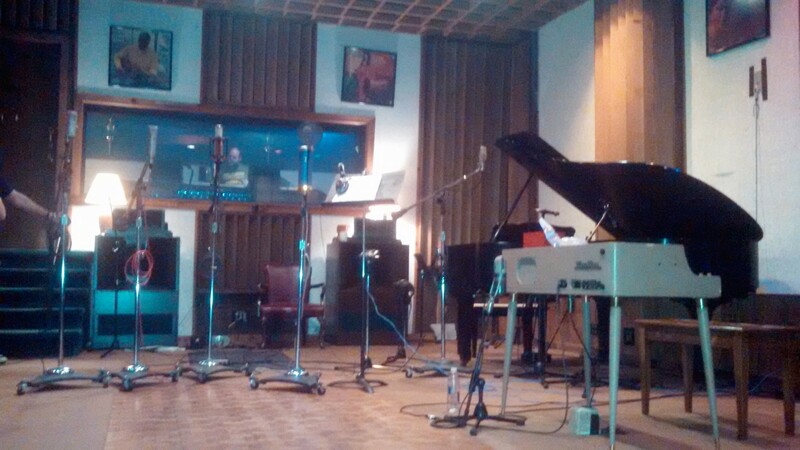 Rick Hall’s soul is independent and strong, and Alabama is part of it. I admire his guts. He stood out and after a while, the big shots came to him. He found success and fame in his little indie studio in Alabama, and I think that’s pretty cool. The best I can tell from reading the book half-full of insight into the music industry; is that it’s a tough business. After many years making a name for himself, eventually he returned to his roots of wood life, and bought a 1600 acre ranch with a creek on it. That ranch became his hide-out and break from studio work. Rick recalls many people in the book, his fondness for Duane Allman, the band “Alabama” and the way they “are as country as grandma’s ole lye soap.” Rick Hall attended some of Alabama’s June Jam concerts in Fort Payne, as did I. The book is totally full of down home Alabama southernisms. Rick had encounters with car accidents, tornadoes, and feeling like he just didn’t fit in, as did I. The 94 short chapters make it easy to read, and connect with the story. I enjoyed reading about his life and FAME Sudios… where it all began. Curious and excited to feel this magic in Muscle Shoals, I went to visit for a couple of days. FAME Studios gives daily tours of the place, where they share the history and take you inside the studios. It was amazing. Enclosed within the hallowed walls of Studio A, I could feel the history, the creativeness, the power. After the tour, I watched the sun set on the Tennessee River. 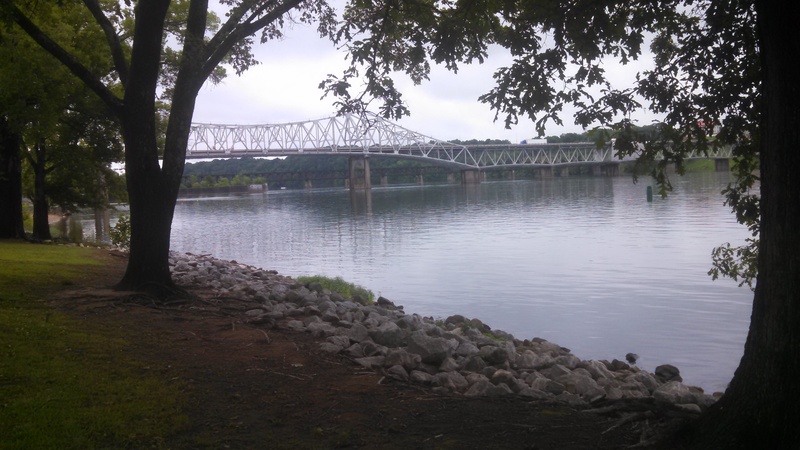 I believe there is magic in the area, maybe it flowed on down the Tennessee River to where I am writing this blog post. Maybe it’s also in this mountain. Maybe it’s in Rick Hall, maybe it’s in you and me.